Sales Leads Pro is excited to announce a special discount for 10 next new customers. with up to 99 users per account! All in one simple online solution! Another great offer to any small or medium businesses from Sales Leads Pro! Get 1 year subscription of Sales Leads Management Package for only $50/month. This promotions apply only to newly customers seving outside Greater Toronto Area, GTA. We are so certain that you will be completely satisfied with our products, that we offer a 1 month unconditional money back guarantee. Sign up and try Sales Lead Management System, Order Tracking, Online Price Quotation System for a month and decide if it's a suitable solution matching your specific business needs. With our 30 Day Money-Back Guarantee you have nothing to lose. Offer available only for 10 next customers. Take advantage of these great offers and grow your business with us. You can choose to break down the payments on a month-by-month basis or pay for a whole year and save an additional 20%. Do you need another product to track/quote that we do not have currently? No problem. We can build it for you. In addition Sales Leads Pro Package is a great posibility to receive high quality leads from websites Vinyl Windows Pricing and Porch Enclosures Pricing. Websites for patio doors and entry doors are coming soon. If you belong to smart group of business owners probably you know how hard and expensive to build and support working system. Here you can find system designed for home improvement companies, used for several years and constantly has improvements and support. Save time and money. Try to use system that already works. Using our online price quotation service your sales agents will look very professional when come to customer?s house with iPad or laptop (even with touch screen) and give quote online instantly. 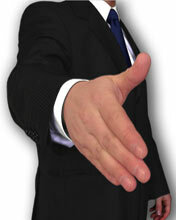 At the same time business owner or manager can see what sales agent does, company profit and agent commission. Other features include build-in orders for factories, flexible sales commission structure, customization. The global economy is unpredictable. Competition is intense. Be different from your competitors and grow your business with us! Just Sign Up, Set up all prices for parts and you ready to go. You will notice power of this system from the first day. *Offer is not valid within Greater Toronto Area, GTA (Home Improvement companies served within GTA pay full price). This offer can not be combined with FREE 3 months trial period offer. So, if you are looking for sales leads source in home improvement business - you are in the right place. Lead Management, Lead Generation and Online Marketing are the most important parts of sales prospecting. Generate more leads and convert them into customers. We guarantee that using of our system will increase sales up to 30% for the first 3 months. You can try our system absolutely risk free. If your lead source give you let's say 100 leads per month, our system will generate you from 10 to 30 extra leads per month, and it's absolutely Free Home Improvements Leads. We are talking about proper lead management that will increase sales within 3 month. This software for home improvement contractor with open mind. We know that 9 of 10 contractors will say that they know his leads with closed eys and they do not need any lead management system. We actually working for this 1 of 10 contractors who is looking forward and trying to achieve new gorisonts. We do a lot to help thouse contractor dominate on market and eventually get at least 1 of 2 ratio. Sales lead management, online quotation system for vinyl windows, entry doors, porch enclosures and patio doors, order tracking, instant sales commission caclulation, comprehensive reporting - all this helps home improvement contractor to concentrate on "run my business". As an result - grow in conversion and sales. We have to insist that if you use our Lead Management System on a daily basis you'll get increase in sales. There are no software to download with our online web based system! During the Risk Free trial your staff get familiar with system and you'll see how conversion rate grows. Control all aspects of your sales process with Sales Lead Management System. From prospecting to close this web-based Lead Management solution is all the organization needs to ensure maximization of sales resources. Sales Lead Management System designed to maintain and generate new potential business clientele operated through a variety of automated marketing techniques. Why “automated”? Because this system will entail the use of computer software to facilitate the connection between a business’ outgoing consumer advertising and responses to these advertisements. You can track anytime what your individual sales staff is doing online. Sales Lead Management System has a format for you which can create a calendar of activities such as appointments and meetings. You can schedule joint meetings thru SKYPE, because this service is fully integrated into Sales Lead Management System. Identify a team role for each sales staff and assign a certain security level for each team member in terms of access to the Sales Lead Management System for confidentiality purposes. Maintain a record of all activities pertinent to a certain account so that past errors will not be duplicated and past successes will be fine tuned. An alert system wherein critical business events are being signaled immediately to concerned sales staff so they can respond immediately and effectively. can help increase sales up to 30% for the first 3 months! Order Processing, Quotation system for windows, doors, porch enclosures and patio doors (online or stand alone application). To get more info and exact quote - please contact us. Tell us who you are, your needs and size of your company. "Lead management system a great system. I highly recommend use salesleadspro.com for lead management, data analysis and reporting..."
"Easy to use interface, fast. Ability to see what your sales organization is doing at any given time. Lots of reports. I have used different management systems in the past, and I can tell you that this is the absolute best system I have ever used. " "Lead management system allowed us to manage our business more effectively, after only 3 months we increased sales on 30%!" For Home Improvement Contractors, attract the attention of the target consumer to their ad which is only one in an ocean of ads is a challenge. There are several of them running after a fixed number of customers who are not only demanding in terms of service rendered, but also in terms of the prices of the same goods offered to them. In most cases, the Home Improvement Contractors must create a balance between the quality of their product and its selling price. Furthermore, when they market their products, they must choose the most effective advertising medium that can reach their market and they must catch the attention of that market thru their ad. The Home Improvement Contractor Directory on the internet is proven to be a fast way to reach the desired audience. Usually in googling for windows and doors or for whatever home improvement needs, the Home Improvement Contractor Directory ranks high in the search results of search engines. The advantage of an internet directory as opposed to a once-a-year printed directory is its data can be updated anytime.